Sitck E Rice is a small Thai restaurant located on Desert Inn Rd. & Eastern Ave. I was surprised by the appearance of the place when walking in. I really liked the interior modern design! 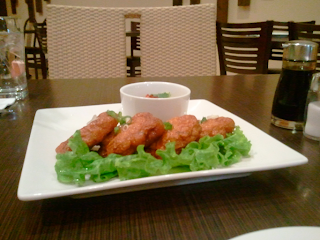 There's a variety of common Thai and Chinese foods to choose from the menu. To me, there wasn't too many items to the point of being indecisive of what to order. 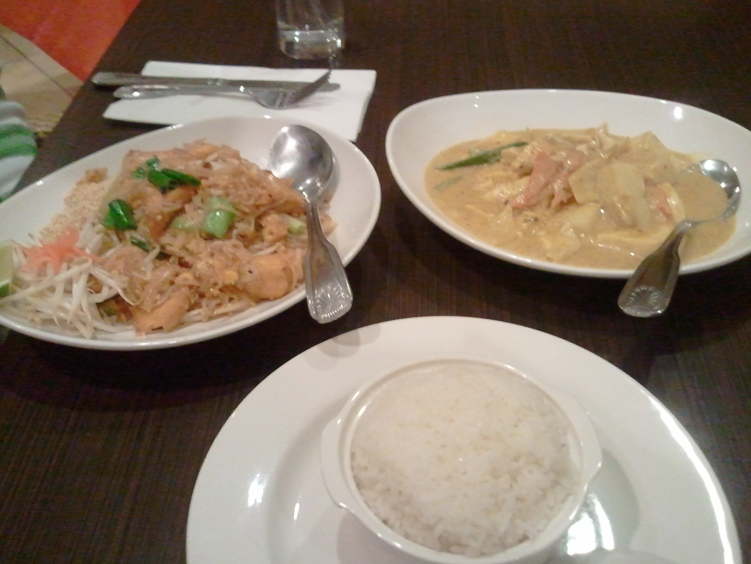 To the left is Pad Thai. I heard a saying on a television show, to test how good a Thai restaurant is, you have to try their Pad Thai. This noodle dish passed my test!